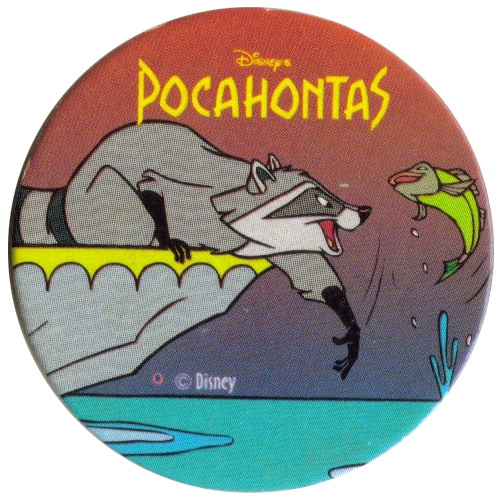 Info:Like other Fun Caps, these caps feature a Disney property. 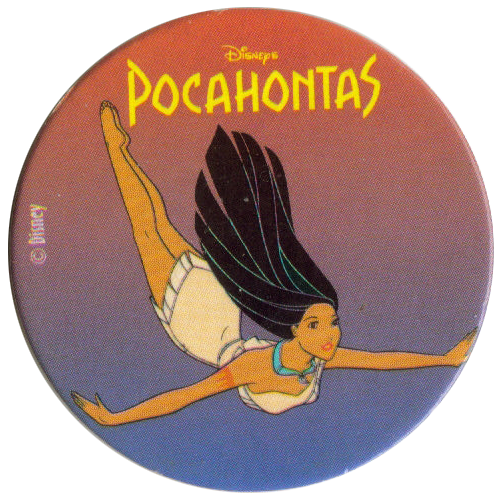 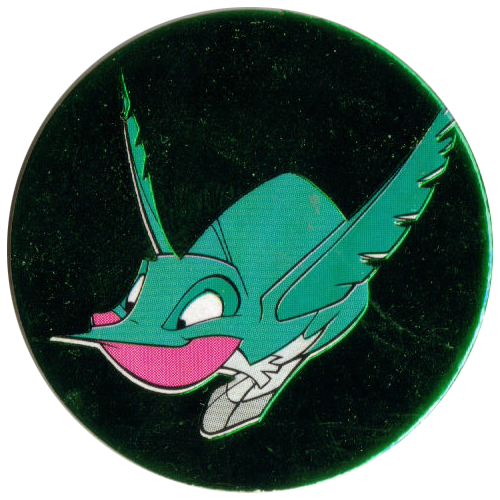 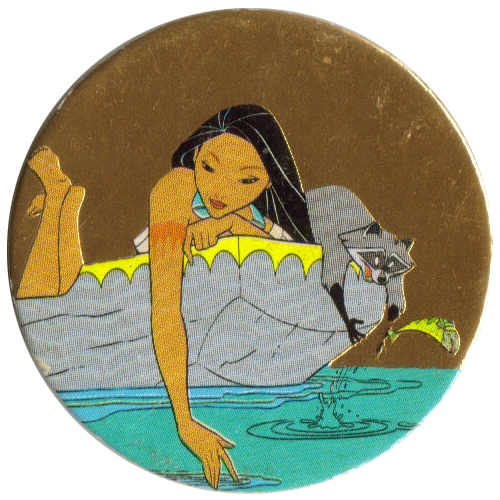 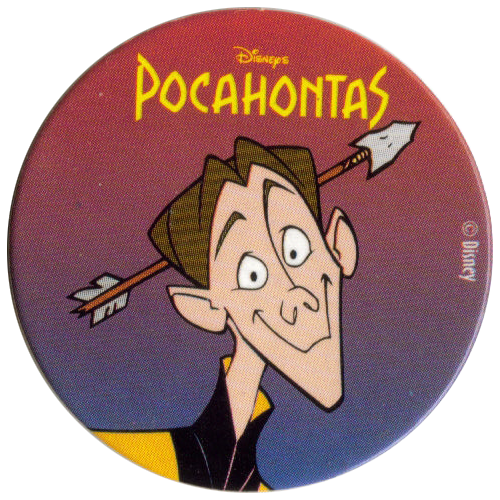 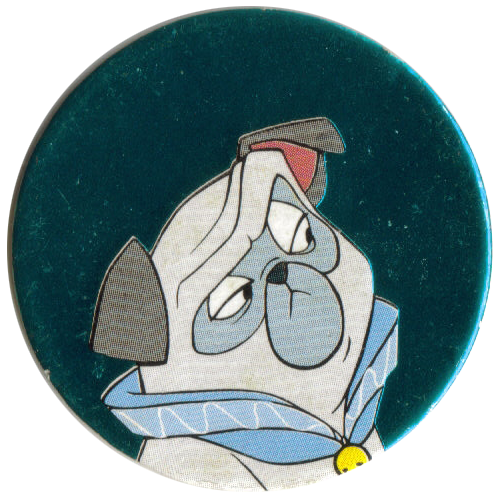 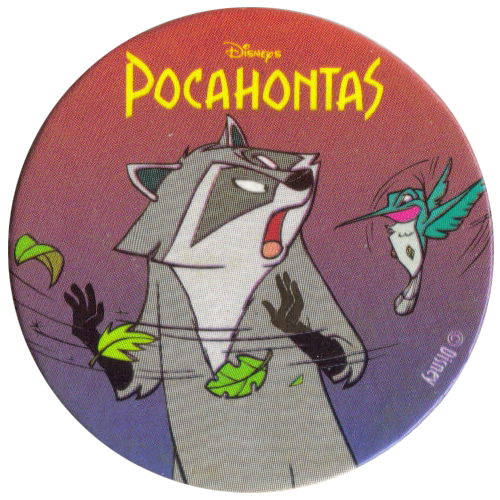 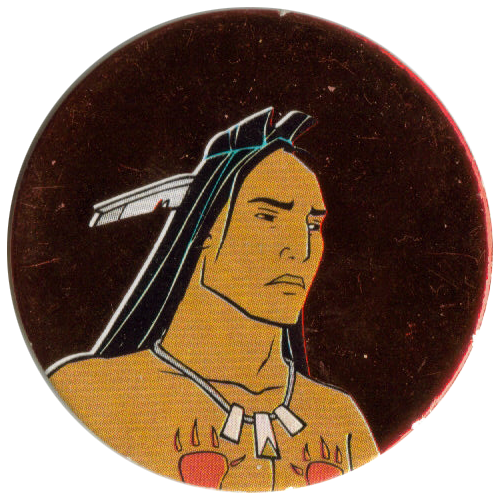 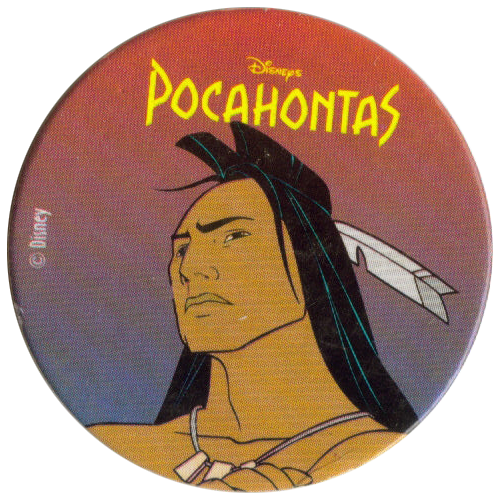 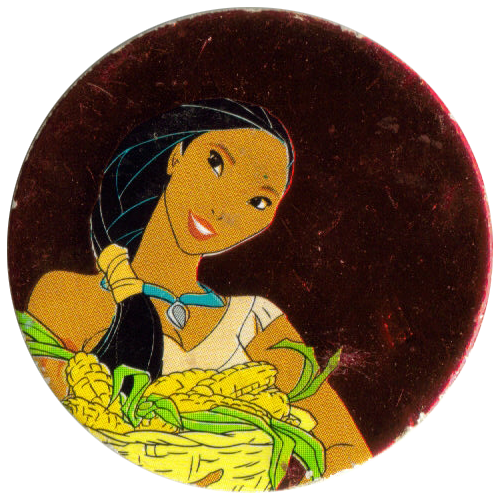 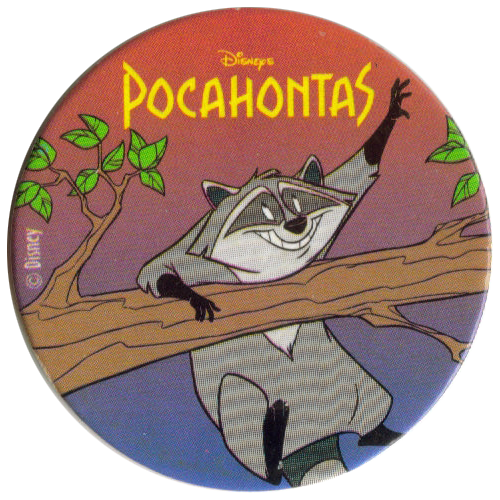 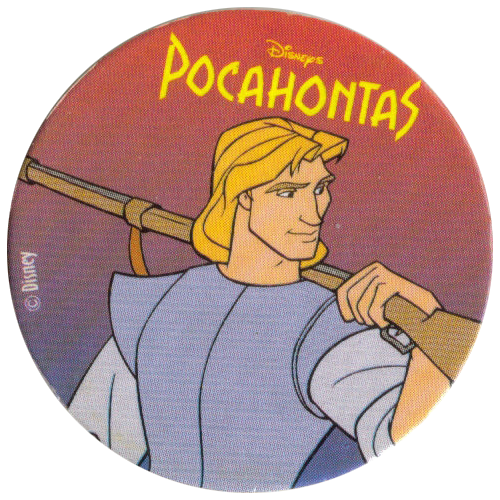 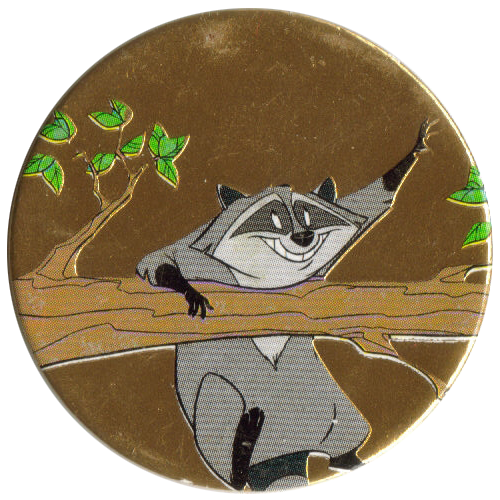 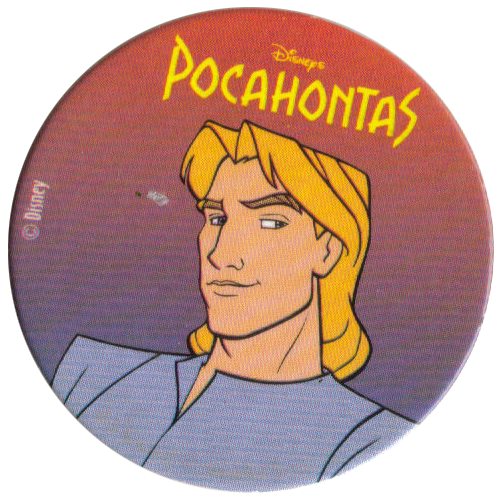 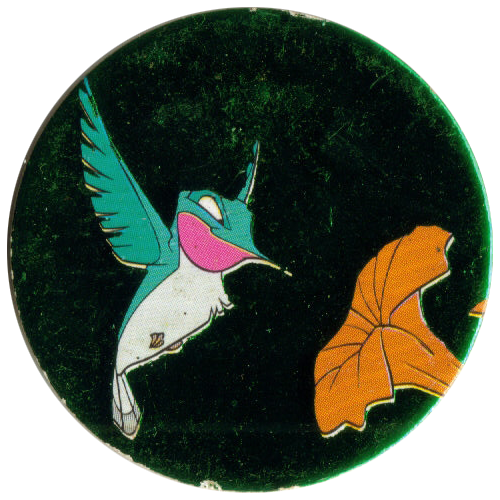 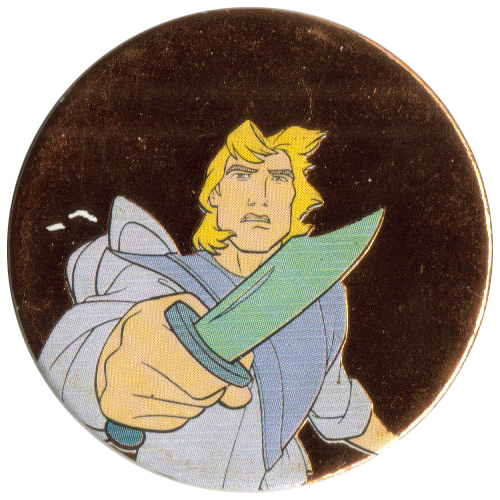 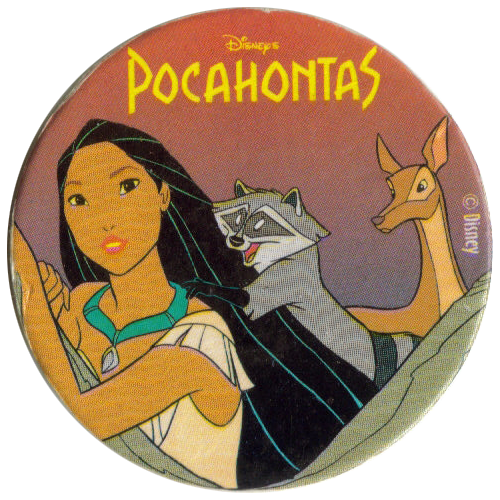 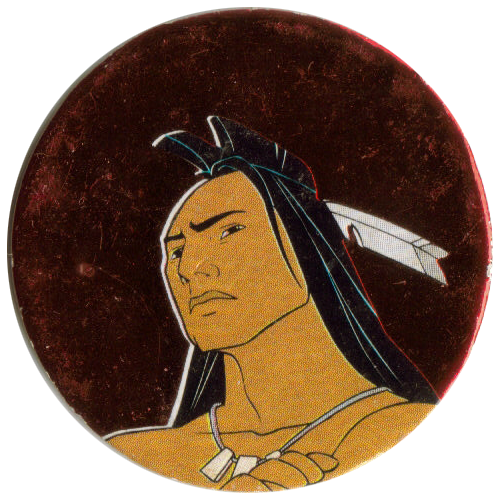 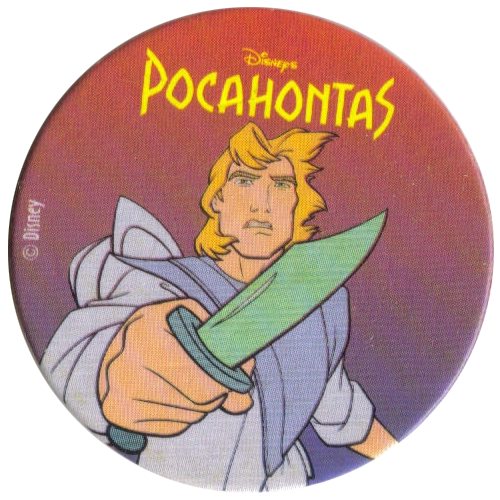 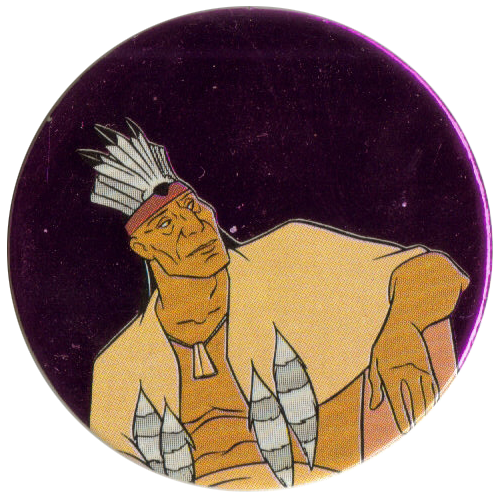 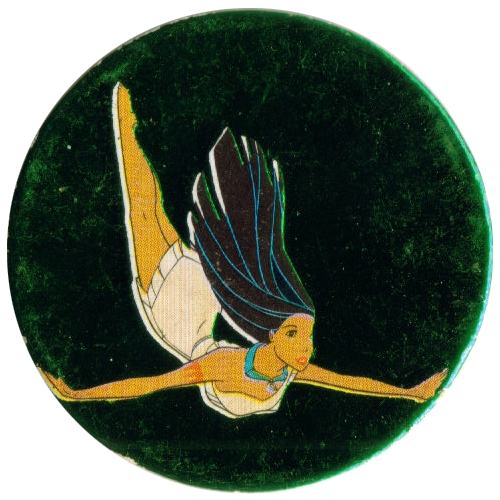 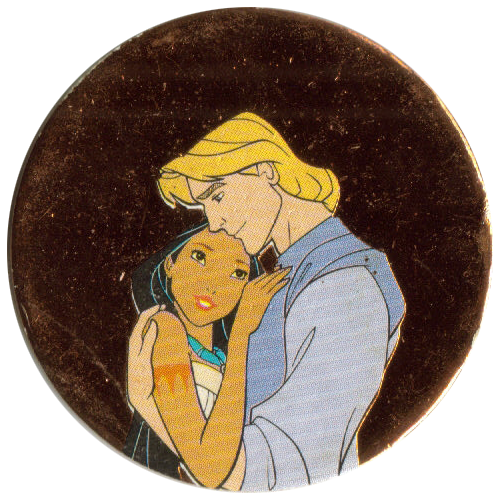 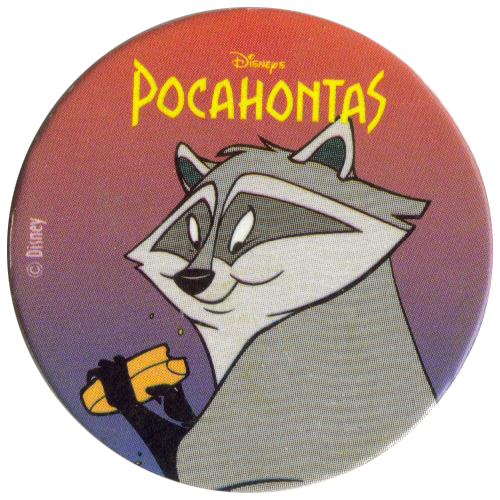 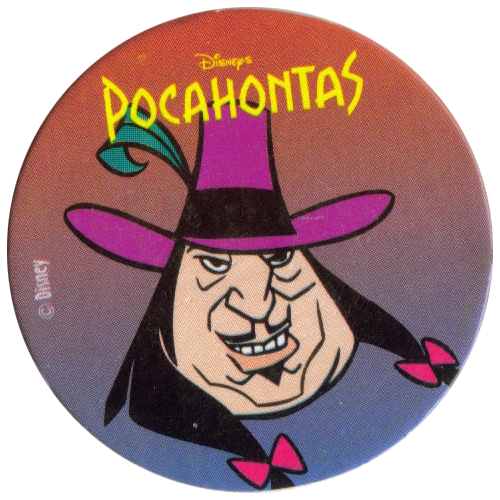 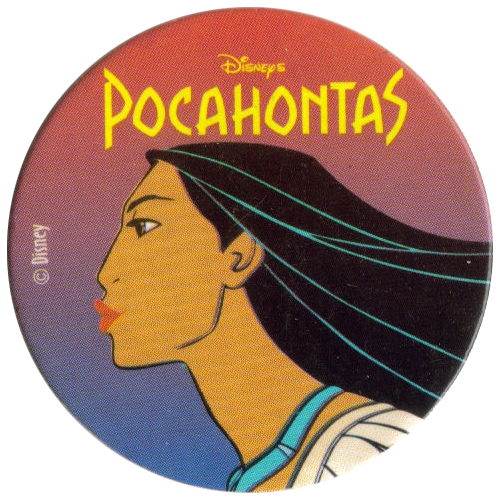 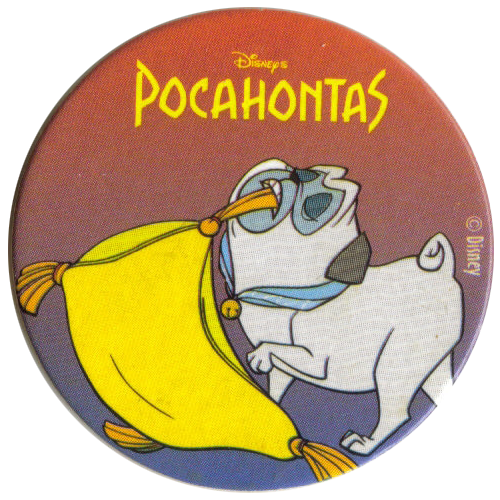 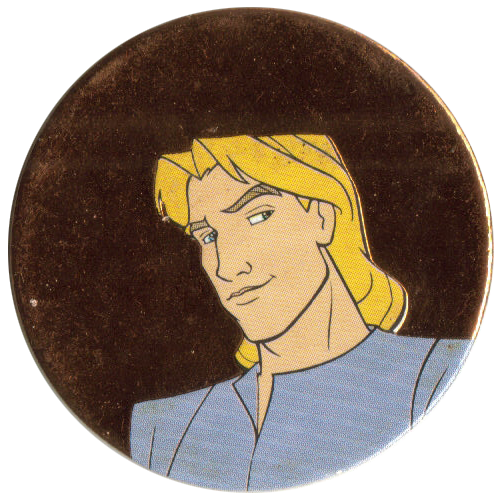 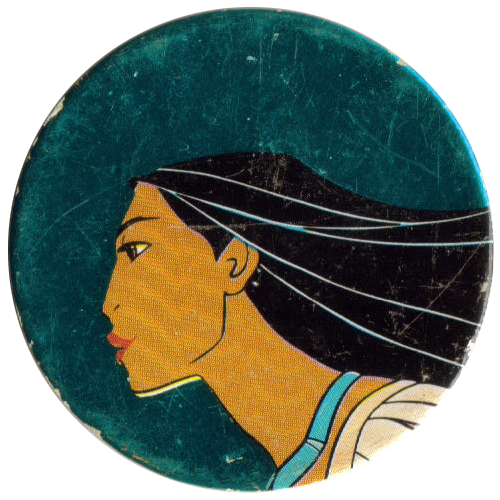 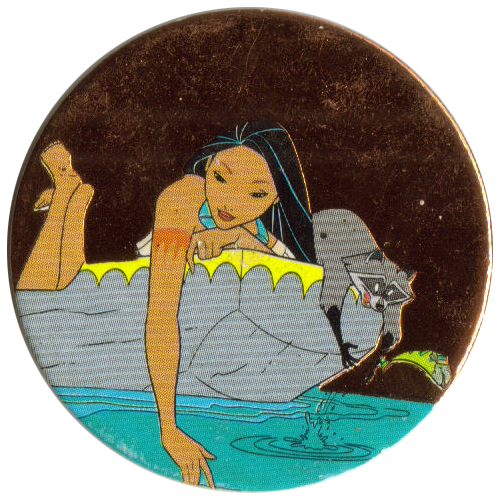 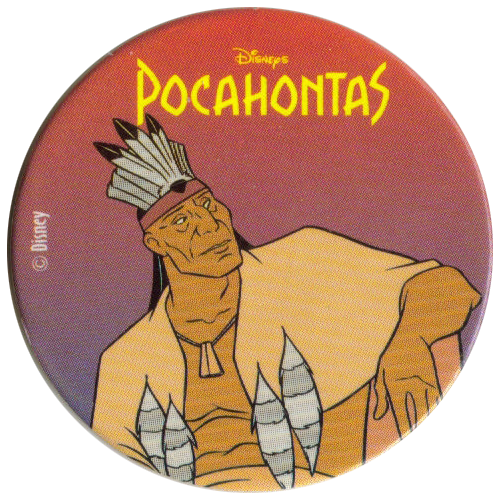 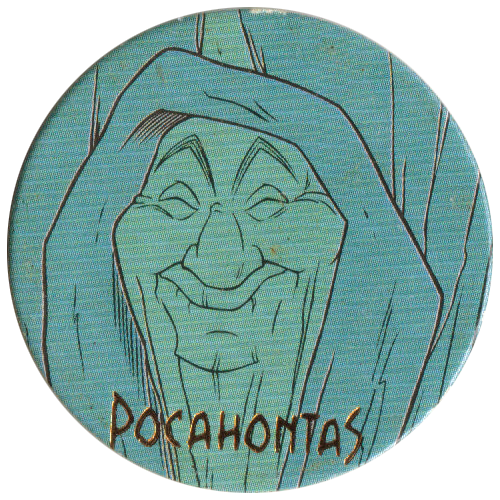 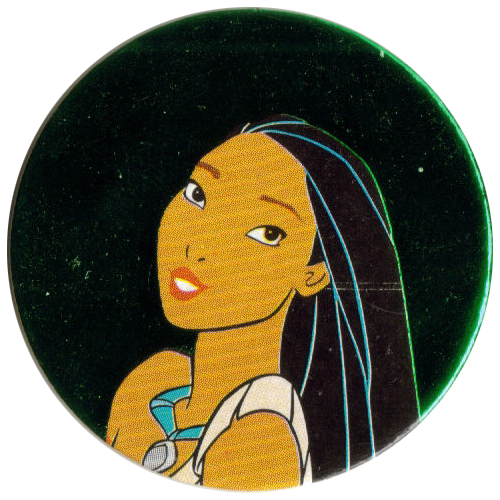 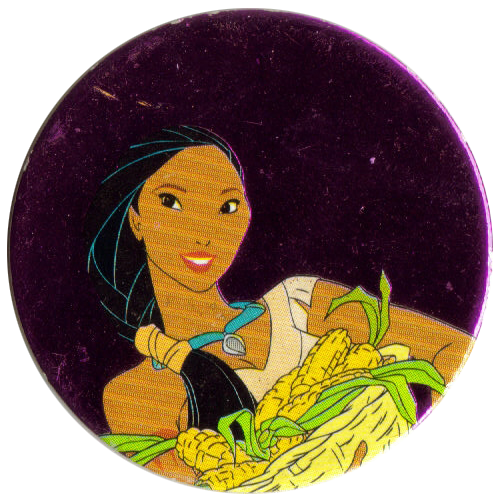 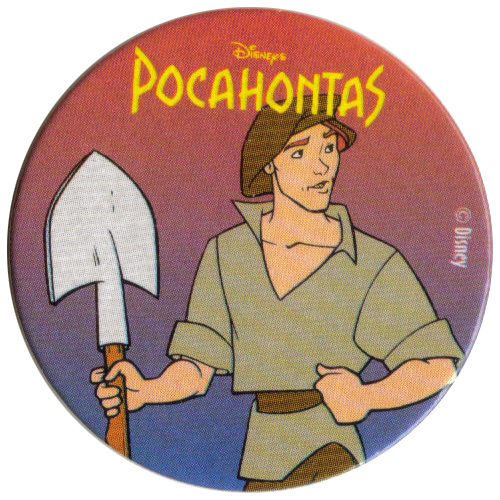 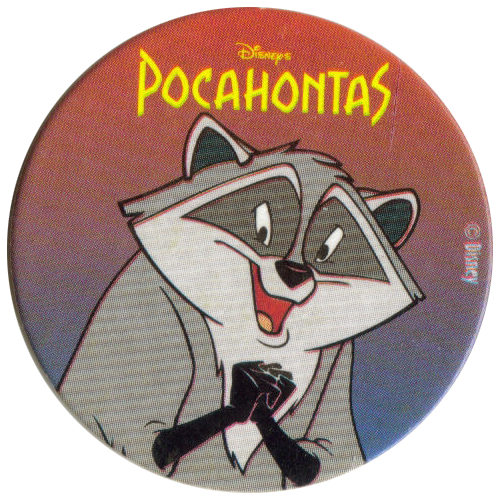 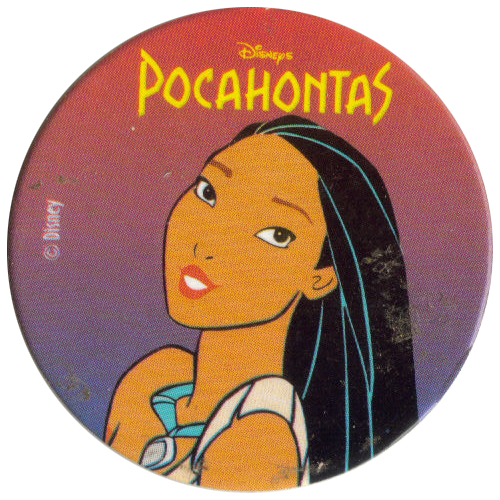 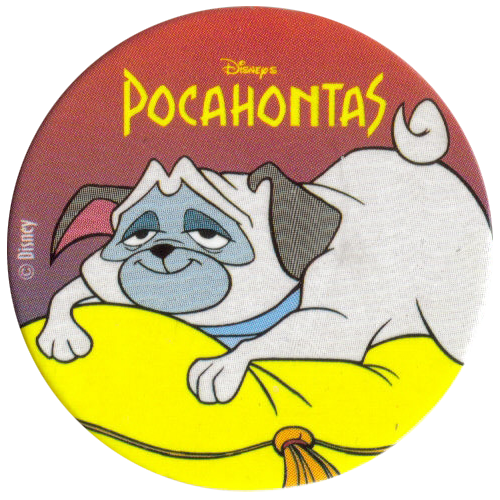 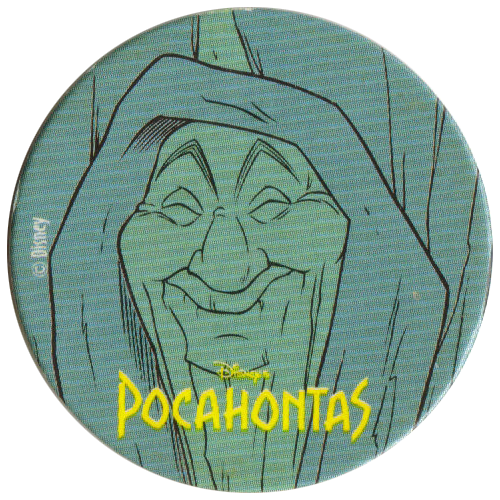 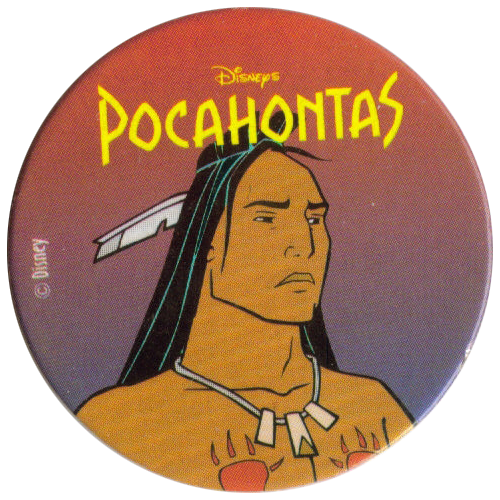 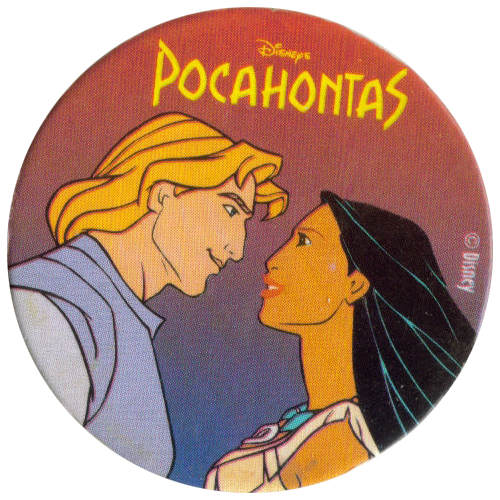 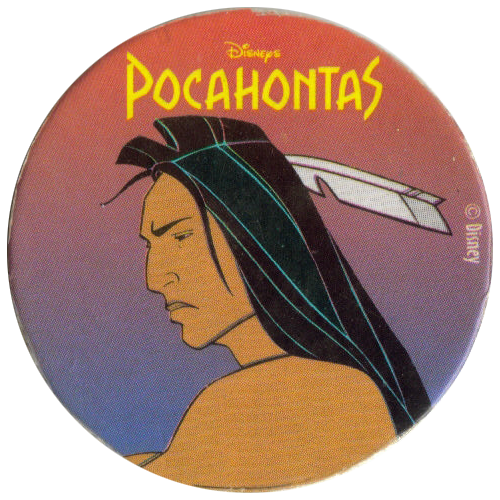 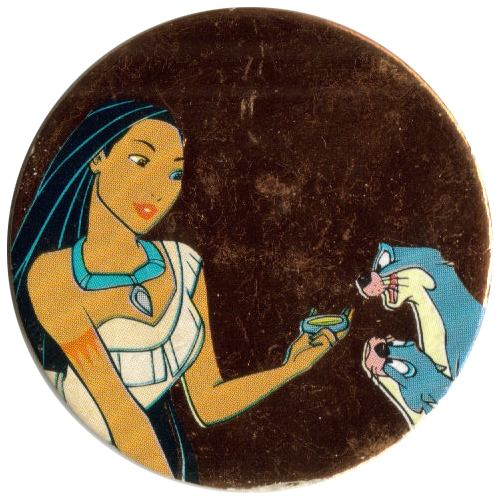 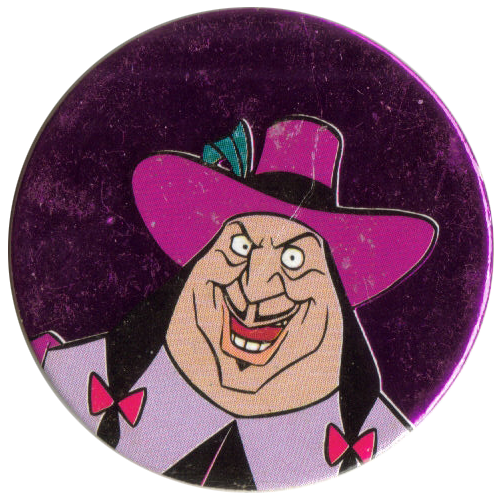 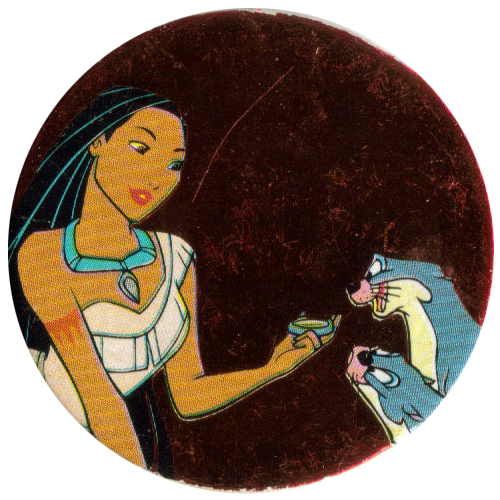 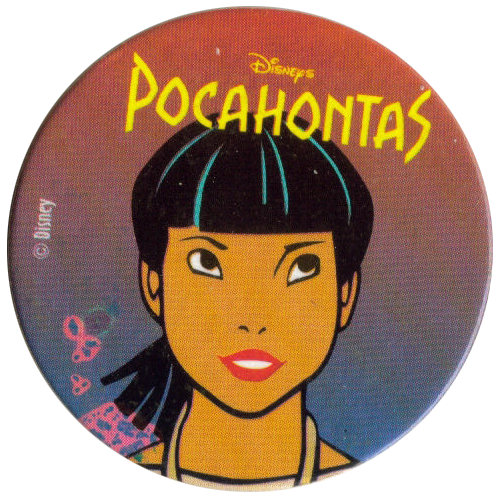 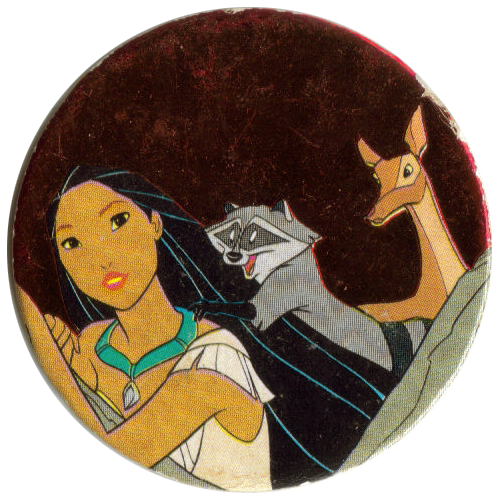 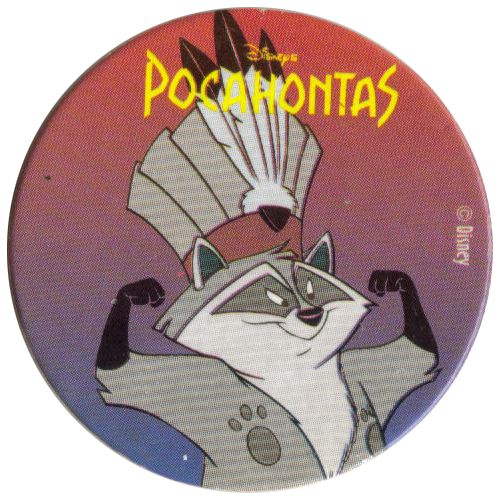 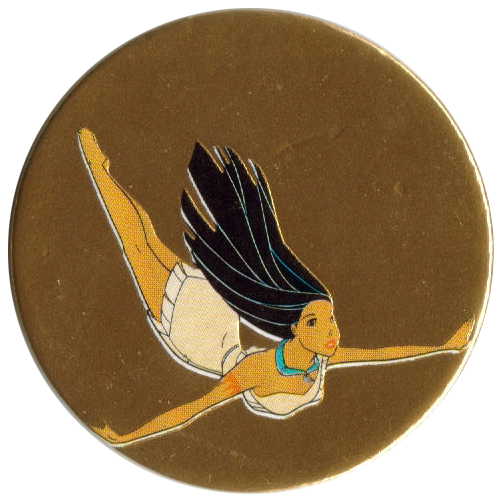 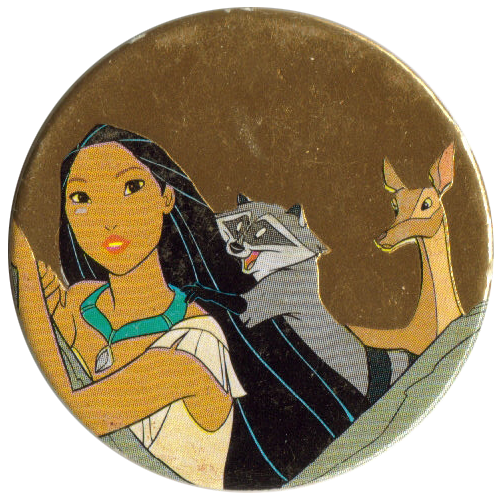 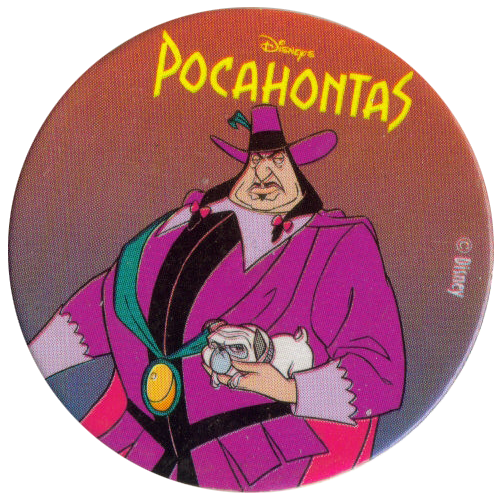 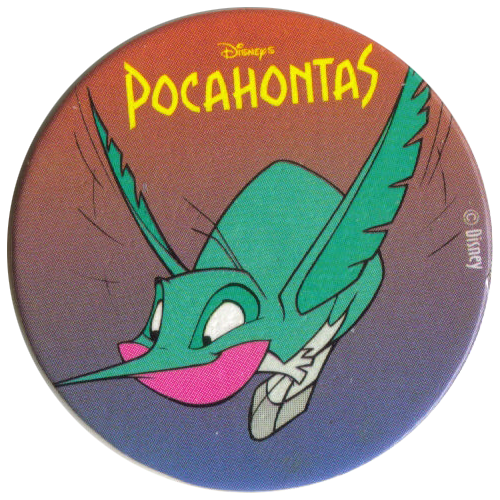 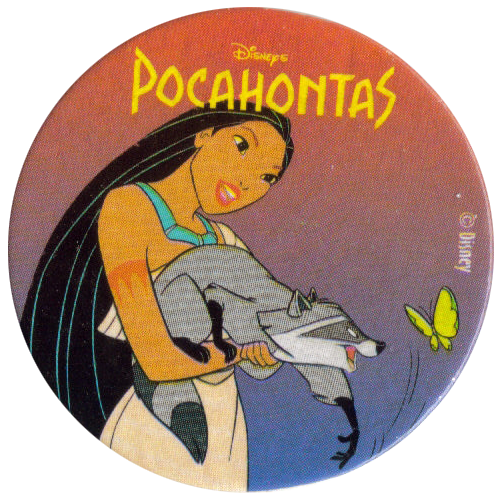 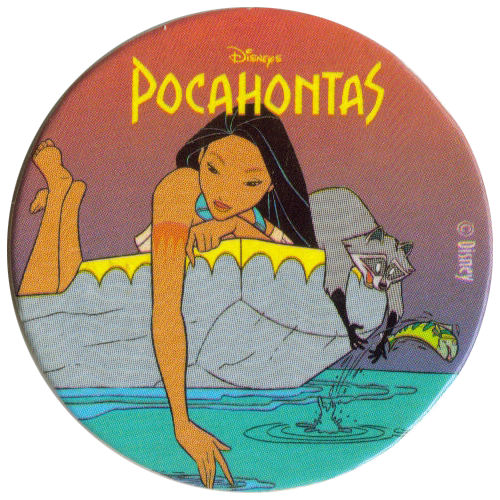 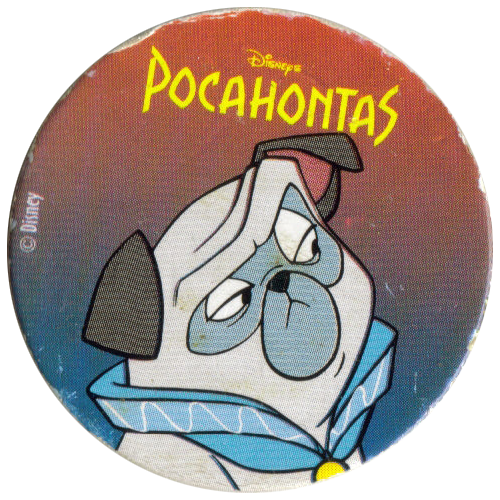 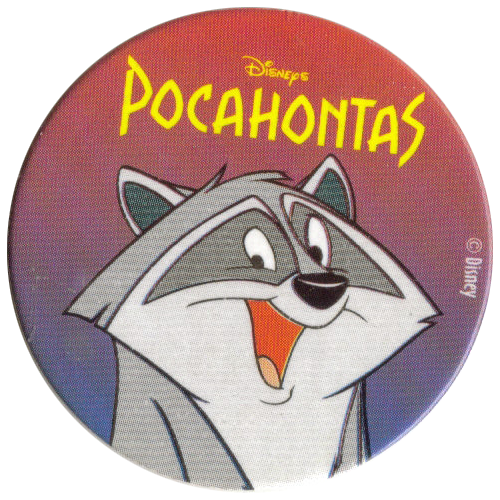 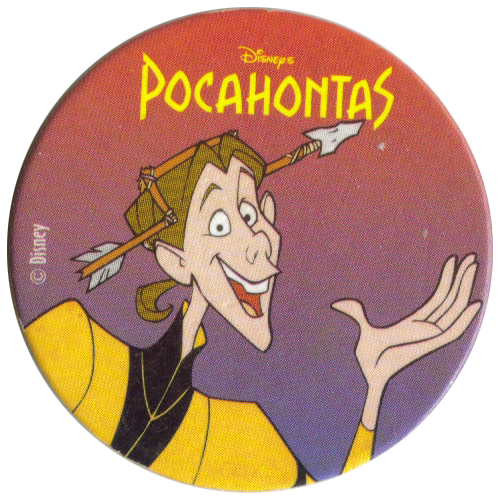 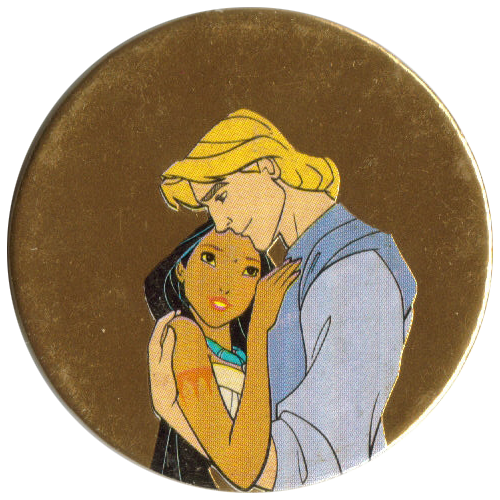 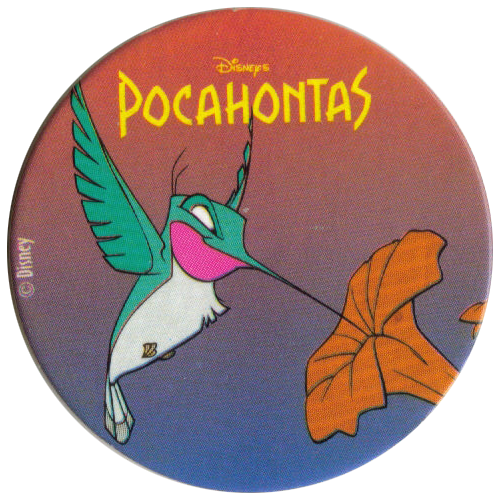 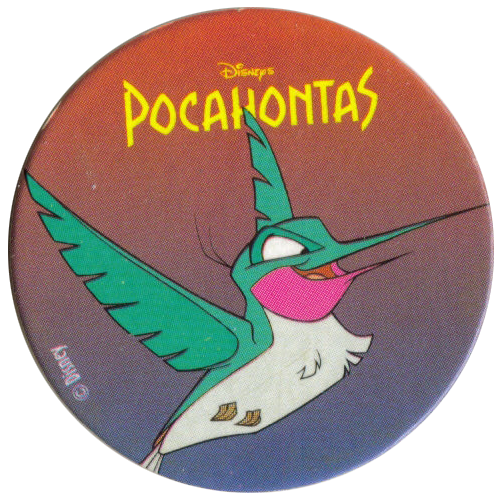 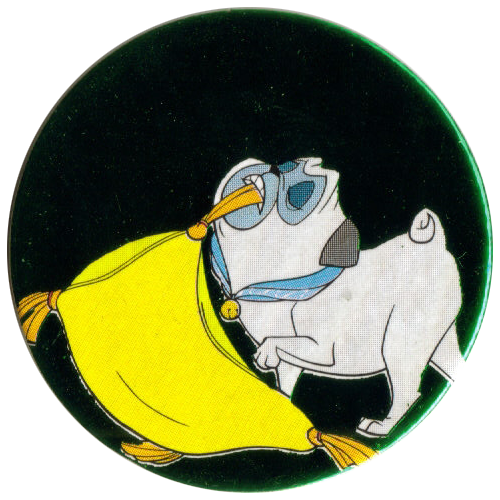 The caps have images of various characters from the film Pocahontas. 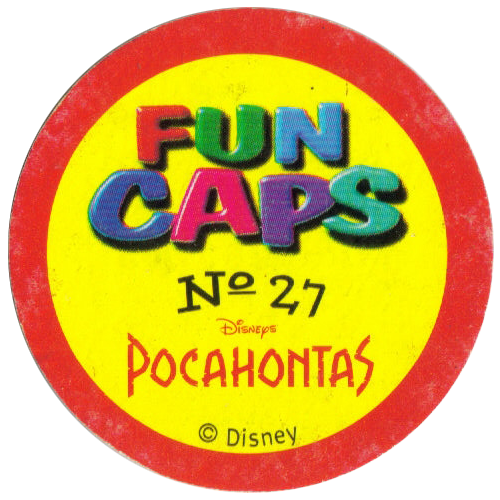 The first 40 caps are printed normally, while the rest are printed on foil. 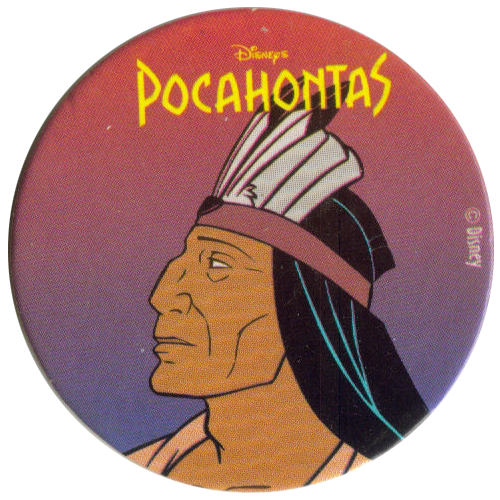 The foil caps repeat the same images that are used on the non-foil caps. 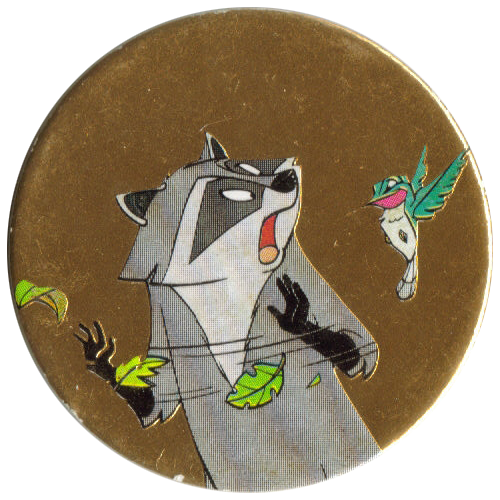 Thanks to Silke for the scans of these Fun Caps.